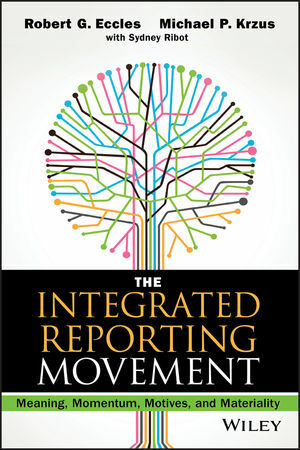 The Integrated Reporting Movement explores the meaning of the concept, explains the forces that provide momentum to the associated movement, and examines the motives of the actors involved. The book posits integrated reporting as a key mechanism by which companies can ensure their own long-term sustainability by contributing to a sustainable society. Although integrated reporting has seen substantial development due to the support of companies, investors, and the initiatives of a number of NGOs, widespread regulatory intervention has yet to materialize. Outside of South Africa, adoption remains voluntary, accomplished via social movement abetted, to varying degrees, by market forces. In considering integrated reporting’s current state of play, the authors provide guidance to ensure wider adoption of the practice and success of the movement, starting with how companies can improve their own reporting processes. But the support of investors, regulators, and NGOs is also important. All will benefit, as will society as a whole. Readers will learn how integrated reporting has evolved over the years, where frameworks and standards are today, and the practices that help ensure effective implementation—including, but not limited to an extensive discussion of information technology’s role in reporting and the importance of corporate reporting websites. The authors introduce the concepts of an annual board of directors’ “Statement of Significant Audiences and Materiality” and a “Sustainable Value Matrix” tool that translates the statement into management decisions. The book argues that the appropriate combination of market and regulatory forces to speed adoption will vary by country, concluding with four specific recommendations about what must be done to accelerate high quality adoption of integrated reporting around the world. ROBERT G. ECCLES is a Professor of Management Practice at the Harvard Business School. He has written four books on corporate reporting. He has also written over 25 articles and 20 teaching cases on integrated reporting and sustainability. MICHAEL P. KRZUS is an independent integrated reporting consultant and researcher. He has provided advisory services to participants in the International Integrated Reporting Council Pilot Program, companies exploring the adoption of integrated reporting, and consulting organizations seeking to enhance integrated reporting capabilities for clients.